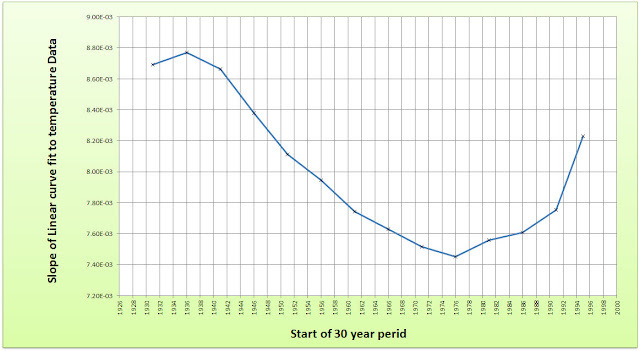 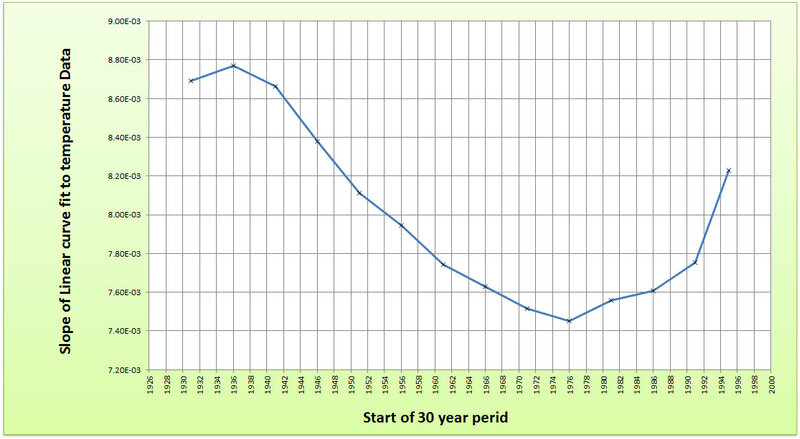 1995 to 2012* THIS DOES NOT GIVE SUFFICIENT YEARS BUT IS PLOTTED. So it looks as if the slope changes by over 10% but 1961 to 1991 gives one of the lower slopes. 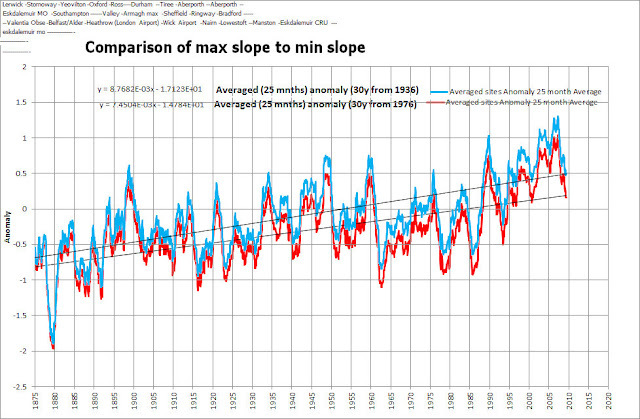 Choosing 1931 the slope (deg C per year) is near the maximum!